Wei, Sijie, et al. “A novel hybrid single molecule approach reveals spontaneous DNA motion in the nucleosome.” Nucleic acids research 43.17 (2015): e111-e111. Falk, Samantha J., et al. “CENP-C directs a structural transition of CENP-A nucleosomes mainly through sliding of DNA gyres.” Nature structural & molecular biology (2016). Lee, Ju Yeon, et al. 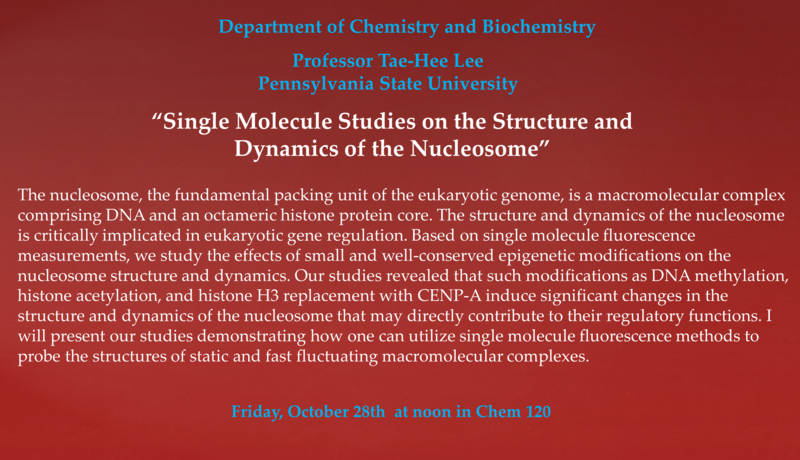 “Dynamics of nucleosome assembly and effects of DNA methylation.” Journal of Biological Chemistry 290.7 (2015): 4291-4303.